PINE KNOLL SHORES — Interest in aquaculture is on the rise, oyster restoration is progressing and shellfish leasing is booming, but with issues over siting and conflicting uses of public waters, there’s still room for improvement. This was the takeaway message from presentations state Division of Marine Fisheries Director Steve Murphey gave Tuesday during a meeting of the General Assembly’s Joint Legislative Oversight Committee on Agricultural, Natural and Economic Resources. The committee met at the North Carolina Aquarium in Pine Knoll Shores and heard several presentations, including two from Murphey and an update on oyster research from Ami Wilbur, director of the shellfish research hatchery at the University of North Carolina Wilmington. Murphey explained to the committee that progress was being made in implementing the 2017 Marine Aquaculture Development Act and gave an update on the state’s oyster/shellfish rehabilitation program. The act was signed into law in July and authorized the state Department of Environmental Quality secretary to issue permits for aquaculture. It also required the fisheries division to request federal rules to allow aquaculture in the federal waters between 3 and 200 miles offshore. Murphey said that while interest in aquaculture has been expressed to his division, no formal application for an aquaculture lease had been submitted. “I do foresee them coming soon,” he said. The division has also sent letters to the Mid-Atlantic Marine Fisheries Council and the South Atlantic Marine Fisheries Commission, two interstate fishery management agencies with jurisdiction in federal Atlantic waters, including those off North Carolina. Murphey said that talks with both these agencies and the National Marine Fisheries Service, which is the federal rulemaking body that oversees all fisheries in federal waters, are ongoing. “We’ve had good meetings with the National Marine Fisheries Service,” Murphey said. Growing shellfish is of particular interest in North Carolina, both to those in the seafood industry and to state officials. Murphey said his division has three main sections dedicated to improving native shellfish populations, which because of excessive harvest are at a fraction of their historic levels. These sections are oyster sanctuaries, oyster reef cultch planting and shellfish aquaculture leases. The federation is a nonprofit based in Carteret County dedicated to the protection and restoration of the coastal environment. Together with the division, they’ve acquired federal funding for their continued work establishing oyster sanctuaries. 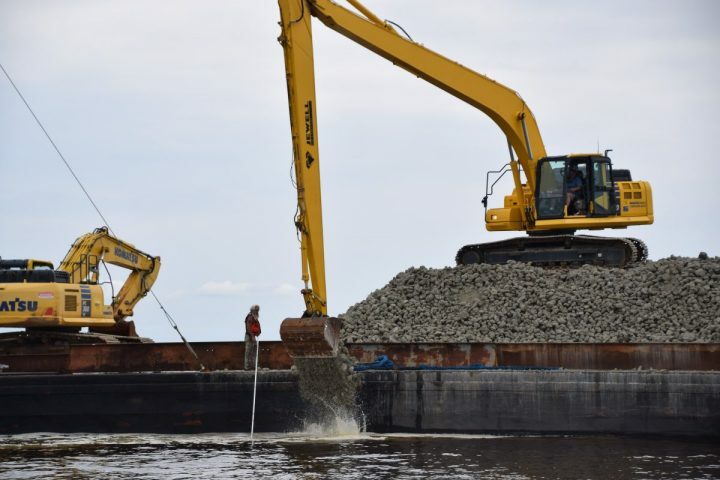 One of the latest projects underway is building an oyster sanctuary at Swan Island near the mouth of the Neuse River. Murphey said that the partially finished sanctuary has proven successful in promoting oyster growth, so far. “It provides a tremendous amount of substrate,” he said. Oyster larvae prefers to attach to other oyster shells to grow, so the division has put a lot of effort into cultch planting, which spreads oyster shell and other materials – such as concrete or granite – on the water bottoms. “We used to average 75,000 bushels (of cultch) per year,” Murphey said. For this year, he estimates the division will spread about 382,253 bushels. The division has encountered a hang-up with its cultch planting, however. Murphey said the division had to surplus its main deployment boat used for cultch planting, a re-purposed vessel built for military use, because of structural integrity issues. He said they plan to pursue replacing it with another, albeit smaller vessel, which would cost an estimated $1.5 million. Shellfish leases have been issued in North Carolina since the 1850s, and Murphey said that in recent years there’s been growing interest in them. He said that since about 2015, lease applications have been steadily rising. However, with the growing interest in growing shellfish, there’s also been a growing number of issues. Murphey said the division has noticed a lot of lease siting problems, particularly over conflicting uses of public trust waters, hazards to navigation and concerns over the effects of leases on the views from waterfront homes. Murphey said the division was working with those in the aquaculture business to try and address the issues. Other concerns Murphey brought up included the problem with derelict gear and abandonment of and theft from shellfish lease sites. Murphey suggested potential solutions, including changes to siting restrictions, a study of Bogue Sound for planning purposes and training rules for lease eligibility. The state Marine Fisheries Commission, the rulemaking body that creates the regulations the division enforces, temporarily stopped issuing shellfish leases in February until the growing concerns could be addressed. Murphey said the division was to report back to the commission with proposed solutions during its meeting May 16-17. Murphey said the key to promoting shellfish aquaculture in North Carolina is to keep the momentum going. State Rep. Pat McElraft, R-Carteret, committee co-chair, said that if the division could put together cost estimates for its projects that need funding, such as the new deployment vessel, the committee would bring the request to the full General Assembly during its upcoming short session. The state isn’t alone in pursuing improvements to shellfish growing. 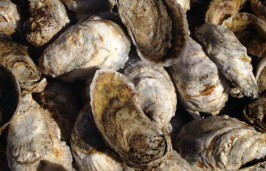 Wilbur, of UNCW’s shellfish hatchery, said the university’s researchers are focused on understanding wild oyster populations so they can help manage North Carolina’s wild oysters in more sustainable ways. Oysters are an important species in that they filter water as they feed, helping improve water quality, protecting habitat for various species and protecting shorelines from erosion. UNCW is home to the state’s only shellfish research hatchery. Established in 2011, the hatchery provides shellfish larvae for research projects and shellfish aquaculture. In addition to oyster seed, the hatchery is also branching out into growing seed for clams and scallops, as well as experimenting with different types of cages for growing shellfish and developing new shellfish husbandry strategies. This story is provided courtesy of the Carteret County News-Times, a tri-weekly newspaper published in Morehead City. Coastal Review Online is partnering with the News-Times to provide our readers with news of the North Carolina coast. 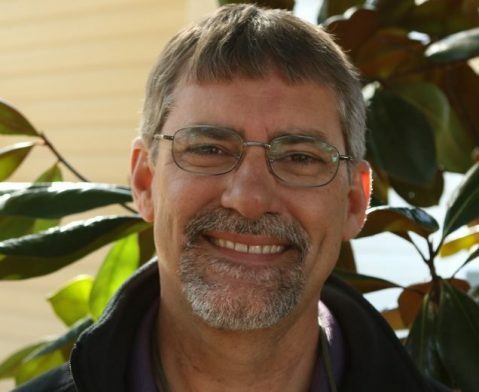 Mike Shutak is a reporter covering fisheries and marine science for the Carteret County News-Times.